When you’re looking for aftermarket alloy wheels, it is common to change the sizes from the original factory wheels. There are a variety of diameters, widths and offsets that will fit, but you must get a wheel that matches the original PCD of 5x120. 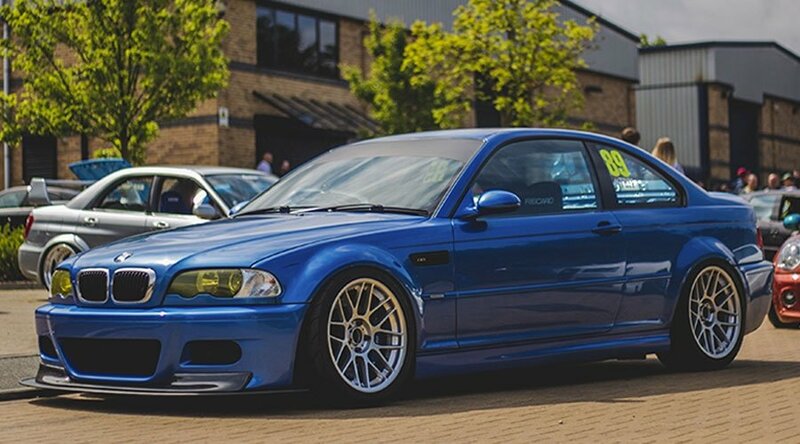 We would recommend 18” or 19” diameter with E46 M3, as this will look great, allow for big brake clearance and let you fit the most suitable tyre sizes. We can supply wheels in a big variety of sizes, from exact replacements for your originals, up to huge, wide and deep dish drift style wheels. 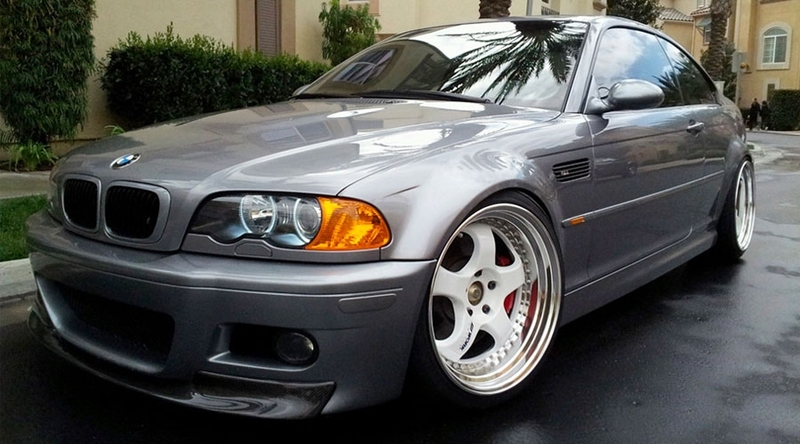 Here’s some examples of different sizes and styles of Rota wheels fitted to E46 M3 to give you an idea of the look and range of what’s available. 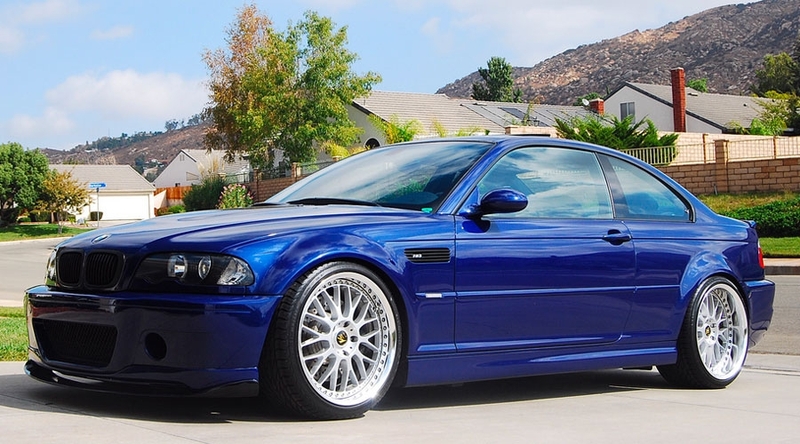 You can find direct links to the Rota wheels to fit the BMW E46 M3 at the bottom of this page. If you’re still not sure of what you need, just give us a call or drop us a message and we’ll be happy to help. For a direct fit onto your M3 without any bodywork modifications, you want the following sizes. This will also give you the “staggered” look, with the flatter spoke Grids at the front, and the concave spoke rears. 19x8.5 ET40 front, 19x9.5 ET45 rear Grid Drift. This is our favourite of fitments, requiring a roll and pull front and rear, negative camber front and rear. This will enable you to run a large tyre all round for maximum grip. It also looks great, giving the maximum spoke angle possible with the 10J Grid Drift. Driftworks have a huge array of wheels available in-store including designs from the likes of WORK Wheels, JR, Rota and 7Twenty.